The NAACP Salt Lake Branch cordially invites you to attend and support the 100th Annual Life Membership and Freedom Fund Banquet, Friday, October 26, 2018 at the Little America Hotel, 500 South Main St., Salt Lake City, Utah. 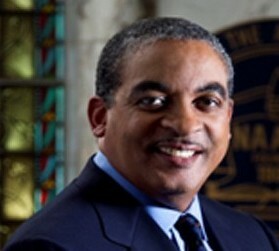 Our theme is "Defeat Hate - Vote" The keynote speaker is Bradford Berry, General Counsel NAACP National Headquarters. The evening will begin with a Reception at 6:00 p.m. and Dinner at 7:00 p.m. in the ballroom. The cost is $100.00 for non-members (includes a one-year membership) and $70.00 for NAACP members. Tables available and seats ten. The Albert Fritz Civil Rights Worker of the Year Award will be presented to Dr. Jackie Thompson, Retired Educator. For additional information or questions, call (801) 250-5088 or email jdwnaacp@att.net. Checks can be mailed to NAACP Salt Lake Branch, P.O. Box 25414, Salt Lake City, UT 84125-0414. Jacqueline Thompson is a native of Nashville, TN. She received a Bachelor of Arts Degree in Elementary Education from Idaho State University, Pocatello, ID 1978. She graduated June 1997, Master of Education Program at Weber State University. She received her Doctorate Degree in Education from Utah State University, May 2010. Dr. Jackie Thompson retired in 2017 from Davis School District as the Director of the Educational Equity Department. She is married to Edward Thompson, who retired as a Contracting Supervisor from Hill Air Force Base. They have two sons and three grandchildren. Dr. Thompson taught public school for four years in Pocatello, ID and Sacramento, CA. She worked as a Race Desegregation Specialist in the Educational Equity Section at the Utah State Office of Education (USOE) from October 1993 - June 1996. She worked in Applied Technology - School to Careers and Gender Equity from June 1996 - June 1997. Served as an Education Specialist for USOE, Educational Equity Section from June 1997 to June 2000. 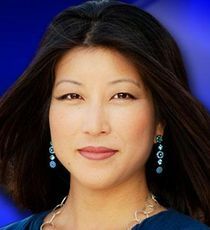 In 1984, she began her Federal career at Hill Air Force Base as a Personnel Management Specialist Intern. She worked in the Training Office as an Employee Development Specialist from 1986-1993. From July to October 1993, Dr. Thompson worked as an Equal Employment Opportunity Specialist. In 1987, she conceived and implemented the Hill AFB AfricanAmerican Community Outreach Program. Dr. Thompson received numerous awards and national recognition. She was also the recipient of the 1994 Spirit of the American Woman Award for Public Education. Dr. Thompson was past President of the National Association for Multicultural Education (NAME). She served as Mrs. Utah 1999 and was the recipient of the Salt Lake Branch NAACP Martin Luther King Award for the year 2000. Dr. Thompson was the recipient of the 2011 Drum Major Award for the Utah State Martin Luther King, Jr. Human Rights Commission. 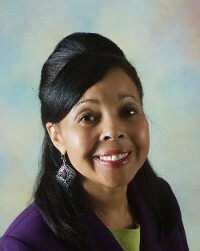 She was honored as the 2012 Educator of the Year by Omega Psi Phi Fraternity. On November 12, 2012, Governor Gary Herbert appointed Dr. Thompson to the State Multicultural Commission. She was the recipient of the 2013, Human Rights Award from the Utah School Counselors. In January 2017, she was the recipient of the University of Utah’s Black Student Union’s Annual Legacy Award. On September 14, 2017, Dr. Thompson was the recipient of the 2017 Humanitarian Award from the Inclusion Center in SLC, Utah. Dr. Thompson serves as a member for Studies Weekly Diversity Board. She is also a member of Weber School District - Equity, Justice and Inclusion Committee – Advisory Council. The 2018 Utah Education Association, Charles E. Bennett - UEA Human and Civil Rights Award was presented to Dr. Jackie Thompson.